bknelson052173: How to create sheet music from audio MP3 - Kristian Stanfill "Alive and Running"
How to create sheet music from audio MP3 - Kristian Stanfill "Alive and Running"
My wife has a website called www.mymusicwriter.com where she takes requests from people to create sheet music that hasn't been written yet from the audio of the music. 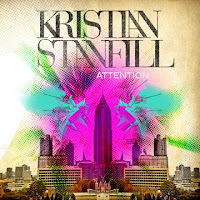 Here is an example of some great worship music by an artist called Kristian Stanfill. I've never heard of him until now - and now that I've heard him, I'm a fan. Lisa just finished transcribing his song "Alive and Running." If you'd like to see an example of the chords/lyrics/leadsheet for Alive and Running - CLICK HERE. Email if interested in the full version. At the TBC business meeting, WOW! TBC Youth Pastor, can you find him in this photo? TBC rockstars and moviestars, oh my! Are you second or first?